I'm a piano teacher in Orange County and have been working on building a website for my studio. 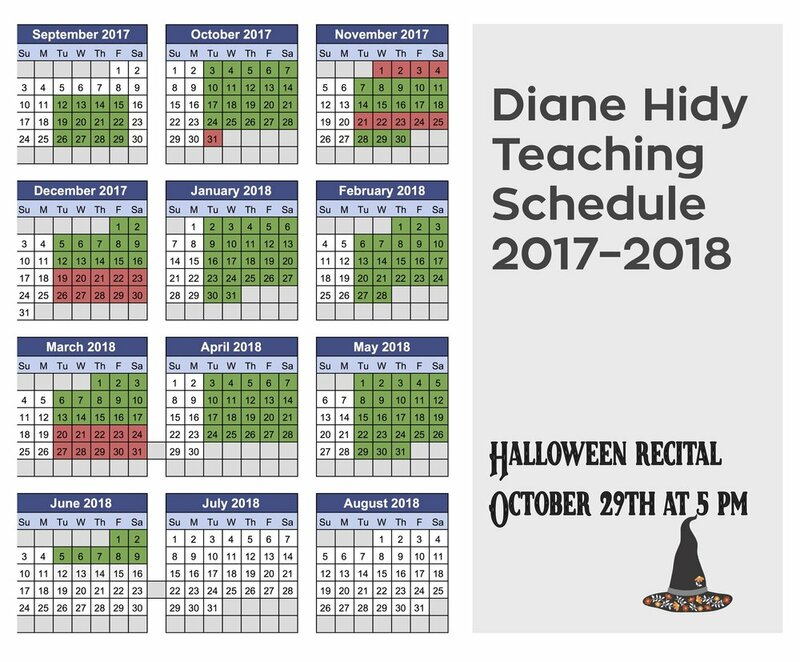 I really love the calendar feature of your website because it is very clear and easy to make sure all the students receive the same number of lessons. Would you mind sharing with me which calendar you use? Thank you for your help. I made mine look a little fancy by using a cool site called canva.com that you might enjoy exploring. If you don't want to be this ambitious, just download your calendar as a pdf. You can print it and hand it out to your students if you don't have a website of your own. Here's a link to my 2017/2018 calendar. This should be an editable copy, so please feel free to use and modify as you need. Under the pull-down "File" menu, simply "Make a Copy" and you can then edit your personal copy to suit your own needs. Click here for a video about teaching slurs using role reversal AND some Halloween music inspiration!